A huge spread of achievement in the typical Australian classroom makes it hard for teachers to target their teaching to the needs of every individual student. Our most advanced students are not adequately stretched while our least advanced are not properly supported, despite heroic efforts by many teachers and principals. 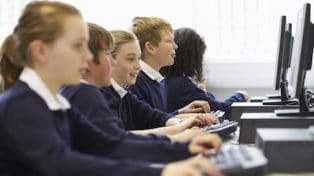 Students learn best when they are taught material that is targeted to what each individual is ready to learn next, rather than the standard year level material that may well be too easy or too hard. We have known this for decades. It is part of our national professional standards, and our expectations of schools. Yet it is easier said than done. Grattan Institute’s latest school education report, Targeted teaching: how better use of data can improve student learning, explores the gap between the theory, policy and practice of targeted teaching. What is targeted teaching, and why is it worth doing? Is teaching being targeted effectively in practice? What are the challenges and barriers? What is the role of governments and education systems, schools and teachers, and parents in ensuring targeted teaching is embedded in every classroom? 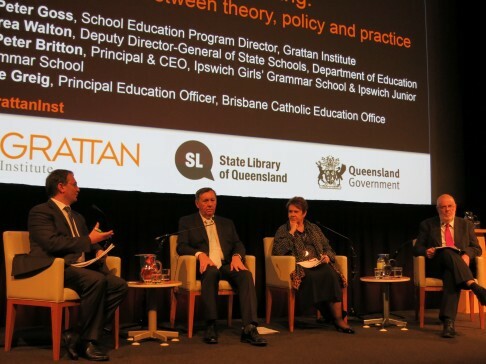 Patrea Walton is Deputy Director-General of State Schools for the Queensland Department of Education. In this role, she has led statewide consultation processes and was responsible for 1,234 state schools across Queensland as they implemented the move of Year 7 from primary to secondary school in 2015, while encouraging innovation, guidance and collaboration to lift performance in all Queensland state schools. Patrea commenced her career as a secondary teacher in the small rural town of Surat, 450 kilometres west of Brisbane. Ms Walton took on her first principal role at Glenala State High School. Patrea’s strong leadership and unwavering belief in the capability of each and every student led to a domino effect of even greater change through leadership, supervisory and policy positions in South East Queensland. Dr Peter Britton is Principal & CEO of Ipswich Girls’ Grammar School and Ipswich Junior Grammar School. Upon leaving high school, Dr Britton became an Electrical Fitter Mechanic by trade, prior to attending university when aged 26. He studied a Bachelor of Science majoring in Mathematics and Statistical Analysis and a Graduate Diploma in Education (Mathematics and Geography). Dr Britton commenced teaching at Ipswich Girls’ Grammar School, and held a range of roles at Ipswich Girl’s Grammar School and Brisbane Boys College before being appointed to his current role in 2011. Dave Greig is Principal Education Officer with the Brisbane Catholic Education Office. 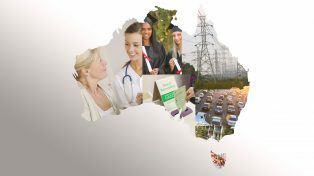 His current work focuses on policy, strategy, professional support and resourcing of learning and teaching on behalf of 136 schools and colleges which cater for 71,500 students across Queensland’s South-East. Dave commenced his teaching career with Brisbane Catholic Education and served as principal at four primary schools between 1985 and 2008. He has a Bachelor of Education, Master of Education and Master of Educational Leadership degrees. He shares leadership of Brisbane Catholic Education’s Delivering Excellent Learning and Teaching Strategy (DELT) which seeks to inspire high expectations for learning that maximises engagement, progress and achievement for each student across schools. Dr Pete Goss is the School Education Program Director at Grattan. He has over 10 years’ experience as a strategy consultant, most recently with the Boston Consulting Group, advising Federal and State governments on service delivery innovation. His first Grattan report, Targeted teaching: how better use of data can improve student learning, was released on 26 July 2015.